Wright’s V.C. 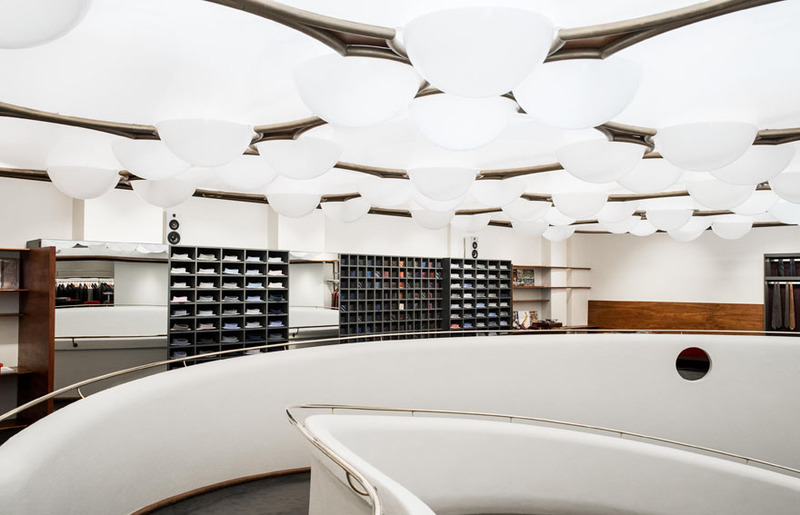 Morris Gift Shop, which the Conservancy toured on its San Francisco conference in 2016 while it was closed to the public, reopened in late September 2017 as the third U.S. outpost of Italian men’s fashion label ISAIA. 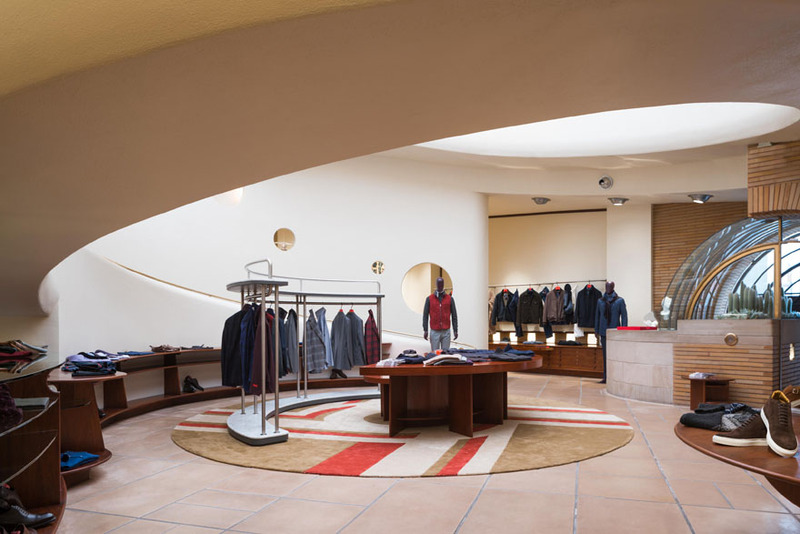 The Conservancy has been in contact with ISAIA leadership since shortly before the company officially leased the space in 2016; earlier this year they came to our Chicago office to present their plans for sensitively incorporating their retail displays and the brand’s hospitality signatures like a red piano and vintage Campari bar into the space. The Conservancy has since prepared a historical brief on the space to educate store workers and curated a selection of books for their in-store library, and we look forward to continued collaboration with the new stewards. The City of San Francisco finalized the interior landmark designation for the space in November 2016. Except for a temporary pop-up shop for Gwyneth Paltrow’s Goop brand, the building had been closed to the public since the previous tenants, Xanadu Gallery, sold the space (which they had purchased in 1997) in 2015. 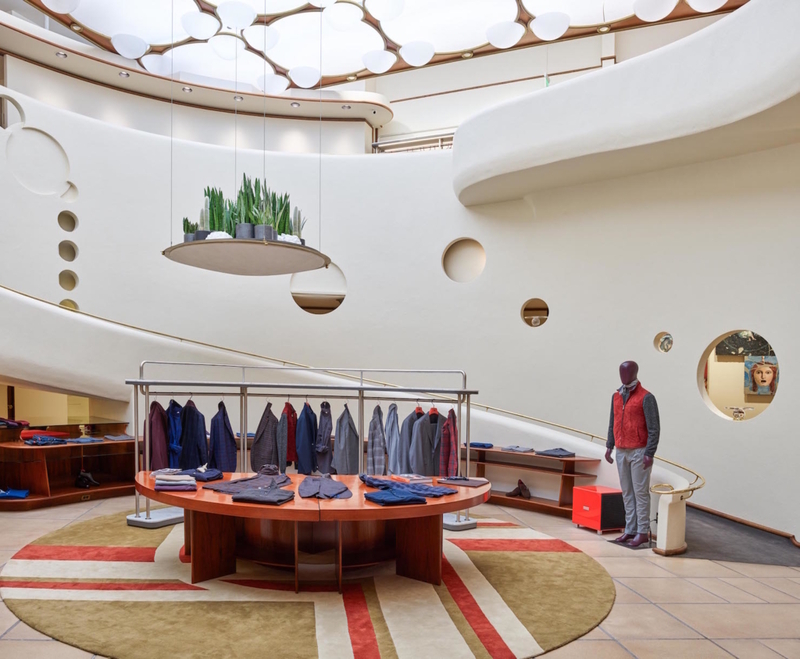 “The design team worked closely with the Preservation committee at the San Francisco Planning Department to develop solutions that would meet the new requirements for a retail boutique, while satisfying the elements of a historical building,” said James Shay, president of ISAIA North America. Each decision was made after a lengthy analysis by designer Ferrari Architetti, local architects Lochte Architectural Group, and the preservation planners Page and Turnbull, who supervised all initiatives. Wright designed the Morris Gift Shop for Vere C. and Lillian Morris in 1948. It is Wright’s only commissioned work to be built in the City of San Francisco. Art connoisseur Vere Morris came from Cleveland and was trained at Pratt Institute, as well as in Europe. Lillian was a native of Oakland. The Morrises settled in San Francisco in the 1920s, opening the gift shop around 1925. In 1937 they moved their shop to 140 Maiden Lane. The Morrises catered to San Francisco’s elite, selling elegant china, silver, and glassware, displaying the items in their shop with great care. The Morrises had been working with Wright since 1944 on the design of a spectacular house in the Seacliff neighborhood of San Francisco. Unfortunately this design was never built, nor were three other house designs Wright would create for the Morrises between 1944 and 1956. In late 1947 or early 1948 the Morrises asked Wright to remodel their existing Maiden Lane shop, which was built in 1911. Final work was completed in 1949. 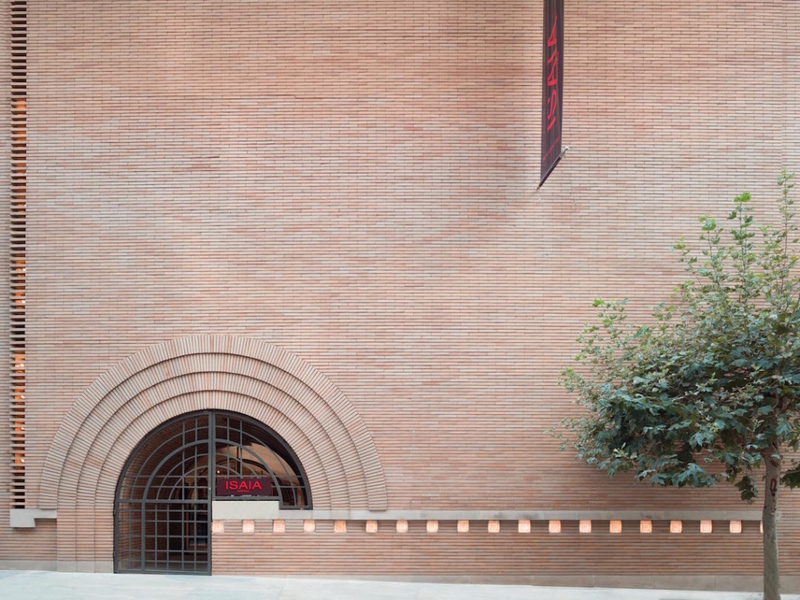 Wright’s design is particularly notable for two reasons: the exterior brick façade that masks much of the interior, and the use of the spiral ramp as the main feature of that interior. 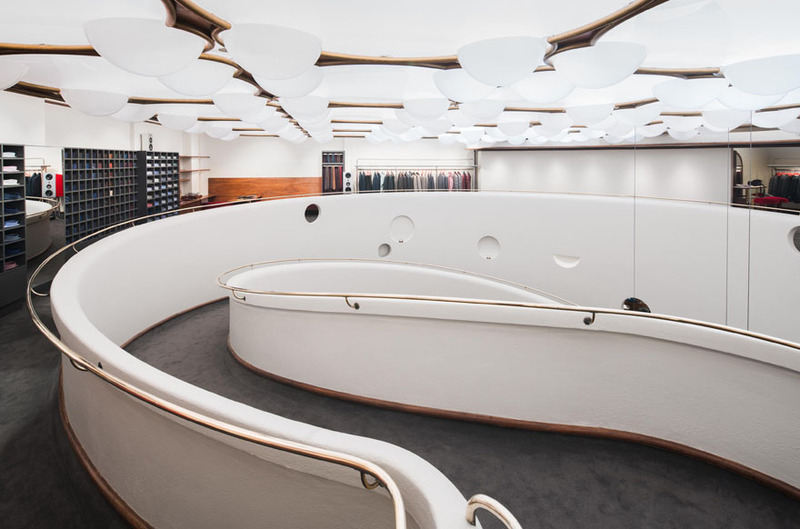 The contrast between the relatively plain, flat exterior wall and the bright interior focused on the circular form of the ramp is striking. This sort of contrast, where the interior forms of a building are nearly impossible to read from the exterior, is unusual for Wright. The Guggenheim Museum is much more in line with his phase “form and function are one.” Unlike the Gift Shop, the spiraling ramps of the museum are clearly expressed on its exterior. 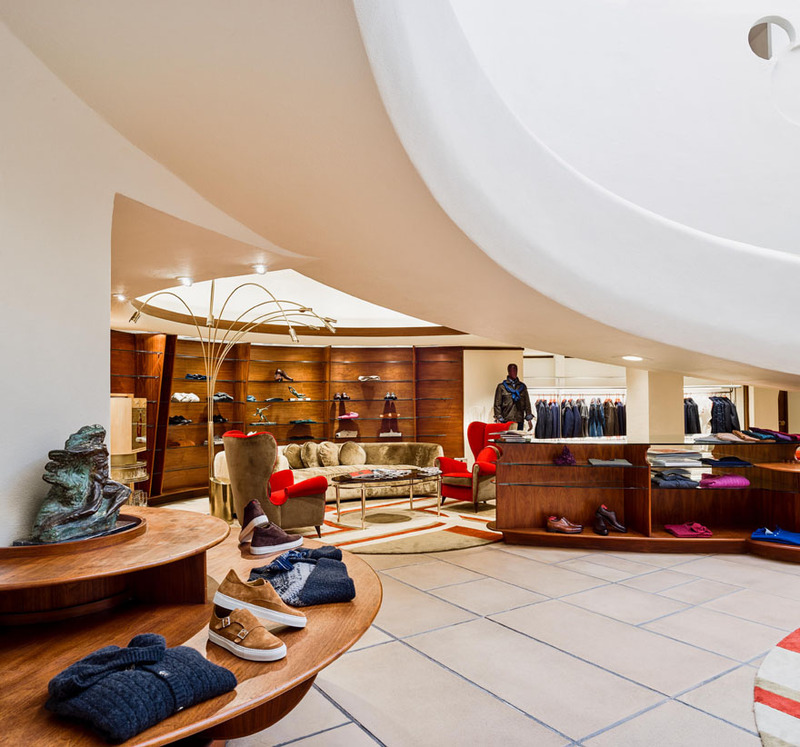 The shop’s context in constricted Maiden Lane, as well as Wright’s expectation of the draw of the mysterious, described above, are two reasons for this. Historian Paul Turner has pointed out that [a]rchitectural critic Elizabeth Mock suggested that the building could be seen as “an autobiographical sketch of its architect,” as the brick façade with its bold arch harked back to Wright’s earliest works, influenced by H. H. Richardson and Louis Sullivan, while the spiral ramp foresaw his not-yet-executed Guggenheim Museum.